I was contacted recently by a representative from the Supplemental Brewing Company who was looking for help spreading the word about their new kickstarter campaign. I’m not a fan of crowd funding for breweries, I’d rather not gamble on a brewery until I’ve had their beer but that’s just me, if you are so inclined you can check out their kickstarter page. The reason I’m sharing is because it’s an interesting crossover beverage concept. Supplemental has been working on protein infused beers aimed at the fitness enthusiast who enjoys beer. It was really only a matter of time since beer is considered a good post workout recovery drink when consumed in moderation. There are plenty of people who are fitness minded, if the beer is good I can see this being popular in a niche audience, the people who want a post workout beer, but the question is will those people consume this beer any other time? If you are on a rest day and decide to have a beer do you want it to be protein infused? I think no, but this also isn’t a beer aimed at me. Supplemental doesn’t have their own brewery, they are a registered LLC and have developed two beers – Brewtein and Nutribeer – and with kickstarter funding they plan on partnering with an as yet undetermined brewery in their area to produce and distribute their product. Brewtein is described as an American Wheat Ale with a light body, refreshing wheat flavor and a clean finish. This beer is also touted at having the highest protein content of any other beer in existence with 7 grams of whey protein. Nutribeer is the lightest of the two, based on a classic light lager with a crisp body, subtle citrus flavor and a smooth finish. 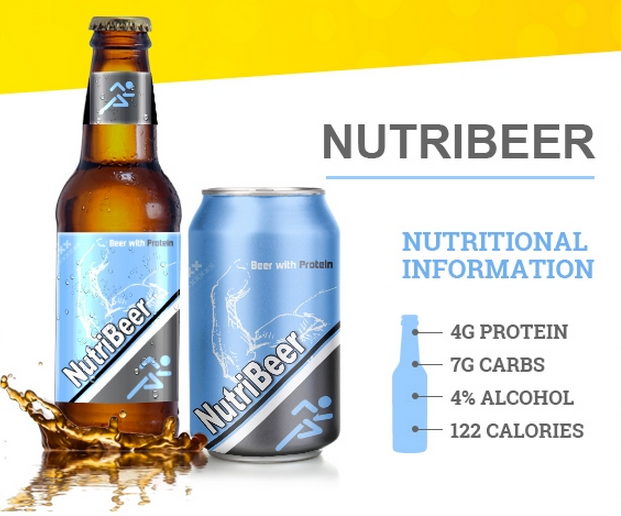 This beer has a protein boost and a lower caloric content. The kickstarter is here if you are interested, I’m not laying any money out for this but if workouts and recovery beers are your thing check them out. They do have a variety of fitness themed prizes for different contribution levels. Before I wrap this up though I have to knock these guys on their logo, it’s pretty basic and I would completely understand it if it was just a stick figure lifting weights but the beer bottle is throwing me off, It looks like this guy has a massive erection. Nowhere in the press kit does the beer contents mention Viagra so I just don’t get it. It’s been awhile since I’ve lifted weights, I’ve never had that reaction, so it must be the beer, right? 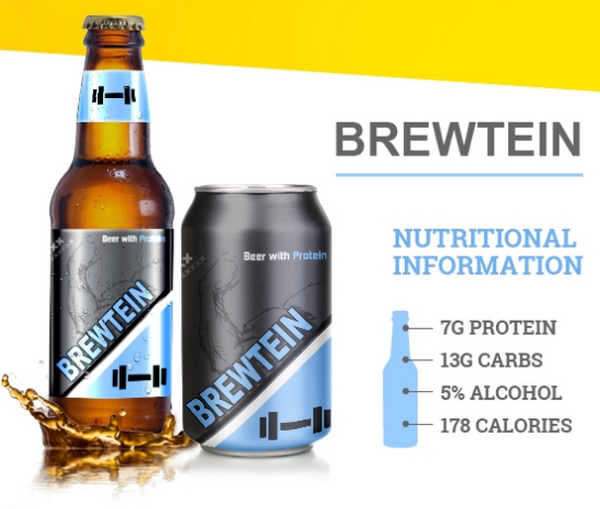 Would you buy a protein infused beer for your post workout drink?